The Sheriff’s Court Services Division serves the San Bernardino Superior Court, providing professional security services and enforcing orders of the courts of the State of California. 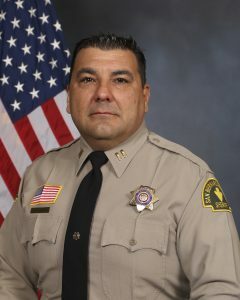 It is the second largest division within the Sheriff’s Department and is comprised of two separate components: Court Security Information and the Civil Enforcement Division. Deputies assigned to security functions ensure the safety and decorum of the court. Deputies and professional staff assigned to Civil Division receive, serve and execute civil processes and orders of the court in the manner prescribed by law. Cell phones with cameras are permitted within the courthouse but cannot be used to photograph, record or broadcast from within the courthouse without prior court approval. All electronic communication devices must be turned off or set for silent notification while inside a courtroom.Use of a cell phone to photograph or record from within the courthouse without prior court approval will result in your immediate removal from the courtroom. You may be subject you to a citation for contempt of court or an order imposing monetary sanctions as provided by law pursuant to California Rules of Court, Rule 1.150 and local court rules.